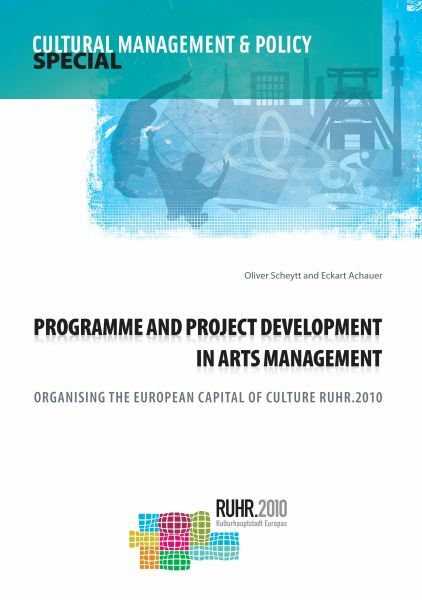 In the European Capital of Culture RUHR.2010, the book’s authors go over the entire process, ranging from organising the company’s bearer to its liquidation. As moderator of the "Essen für das Ruhrgebiet” application and as the General Manager of RUHR.2010 GmbH, Oliver Scheytt was responsible for preparing and realizing the European Capital of Culture through all its phases. From the very beginning onwards, Eckart Achauer, as a consultant, has constantly supported the organisation during its setting-up as well as in all fields of its project and process management.